Delight your users with this awesome carousel plugin. 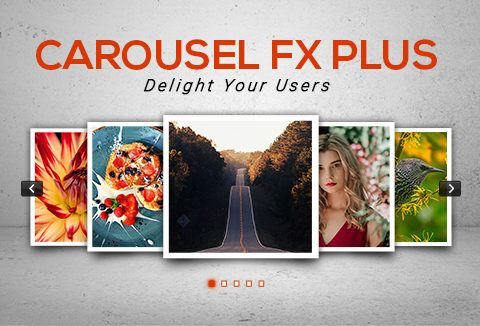 With Carousel FX Plus, you can turn any content into a slider. Be it latest blog posts, testimonials, team members, image sliders, video, or any other web elements. You can set Carousel FX Plus to autoplay. The user will have complete control over the interval between slides, choose pause on hover to stop the particular slide temporarily. Custom make your carousel with multiple effects options. Embed multiple carousels on a post or a page. Add images or videos inside multiple sliders to show it all. DealClub member? Grab this ultimate responsive carousel plugin FREE!